Introducing the next generation in clearomizer technology kr808 clearomizer bottom coil for the Kr808 e cigarette. No leaks and No burnt taste. Simply unscrew the top and using the e liquid bottle to fill the Kr808 clearomizer, tilt it on it's side to avoid getting liquid in the center part. 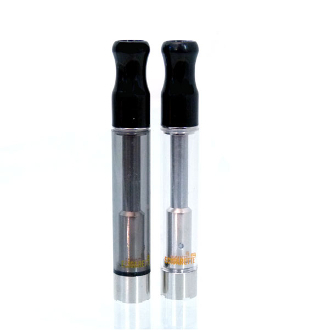 The kr808 clearomizers are roughly 2.2 - 2.4 ohms an can hold approx 1ml of e Liquid. Add additional clearomizers and save.